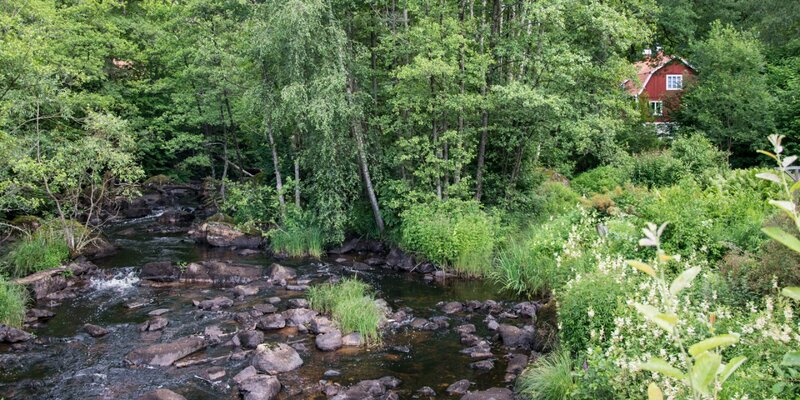 The spring of the river Holjeån is located in the neighboring municipality Olofström in the north. It starts from the lake Halen and ends near Brömölla in the lake Ivö. 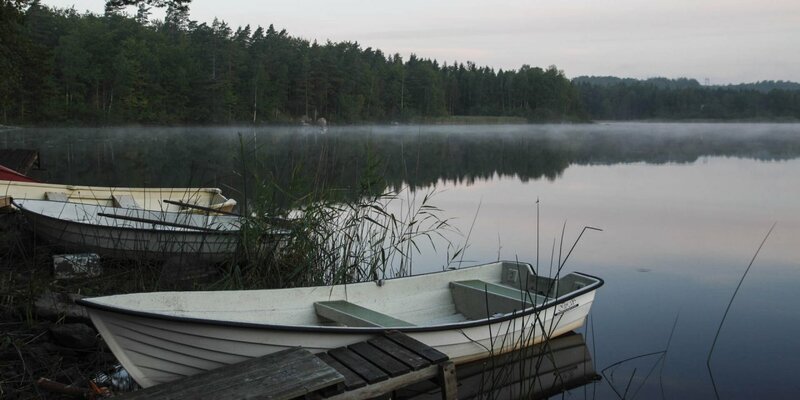 The river is only in this part suitable for canoeing, while fishing on the Holjeån is possible over the entire length of the river. The Holjeån is only passable by canoe or kayak between the nature reserve Östafors Bruk and the lake Ivö. The paddling route has a total length of about 24 kilometers and is divided into two 12 kilometer sections. The northern section from Östafors Bruk downriver to the watermill Västanå Kvarn is the more challenging and rougher route, which is also interrupted by two areas where you need to take your canoe out of the water. The southern route goes from the Västanå Kvarn without interruption through a wetland landscape and end in the lake Ivö. 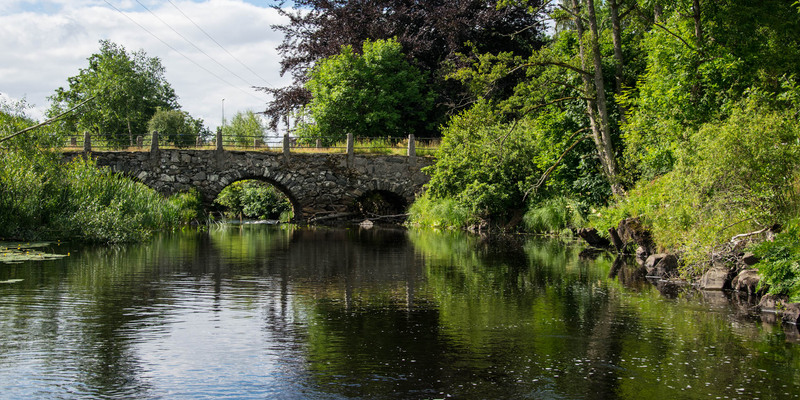 Apart from the prohibition zones, fishing is allowed over the entire length of the river in the period from March 1 to September 30. 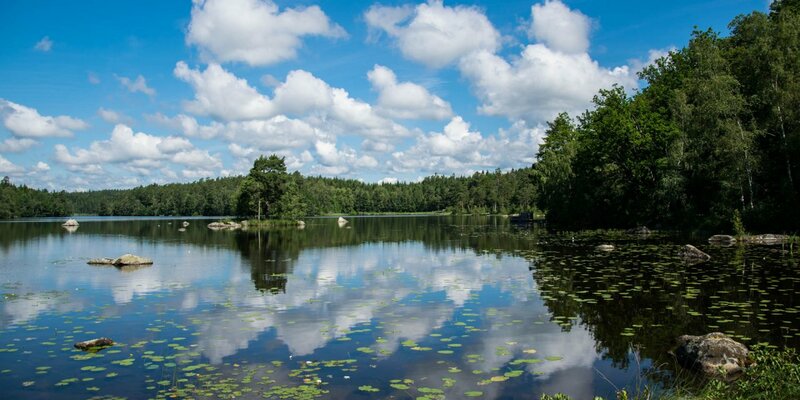 In addition to pike, roach, bream and perch the Holjeån is especially popular for its abundant occurrence of brown trout and sea trout.